Here's good news for anyone who's had to sweep up pasta shards after snapping dry spaghetti and thought, "there's got to be a better way." There is. Simply bending a stick of spaghetti in half typically shatters it into three or more fragments. That's because when the stick breaks, vibrations wrack the remaining halves, causing smaller pieces to splinter off (SN: 11/12/05, p. 315). To avoid this problem, give the spaghetti stick a twist before bending it, researchers report online August 13 in Proceedings of the National Academy of Sciences. 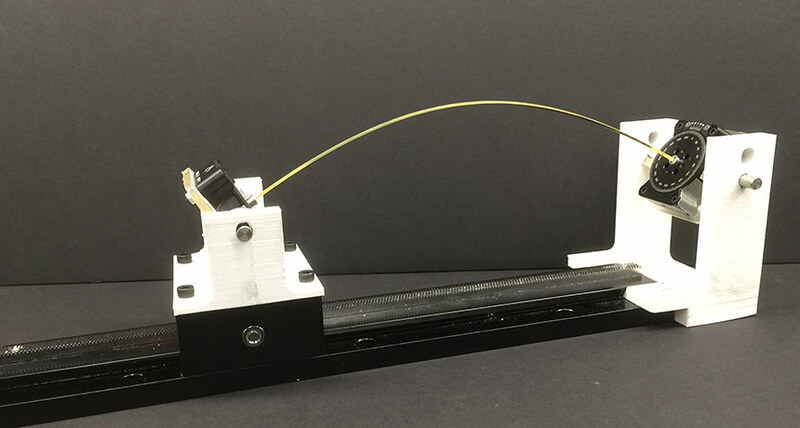 Vishal Patil, a mathematician at MIT, and colleagues discovered this technique by breaking hundreds of pieces of pasta with a custom-made spaghetti-snapping device. These observations, along with computer simulations of the system, reveal that when a spaghetti stick is twisted, it doesn't bend as far before breaking. As a result, the vibrations that rattle the spaghetti halves post-snap aren't strong enough to cause further fracturing. The exact amount of twist required to give pasta a clean break depends on the length of the rod, but for a typical stick 24 centimeters long to crack neatly in two, it's at least 250 degrees. This strategy may not be much practical help in the kitchen; Patil and colleagues aren't selling their spaghetti snapper for $19.95 - and even if they were, meticulously twisting and bending pieces of pasta one-by-one is hardly efficient meal prep. Still, the discovery of the bend-and-twist technique may lend new insight into controlling the breakage of all kinds of brittle rods, from pole vault sticks to nanotubes.